CEO Jeff Bezos and other celebrity divorces like Brad Pitt and Angelina Jolie shed light into some of the complexities of divorce when large sums of money, reputations, and kids are at stake. While all divorces cause uncertainty and stress for the families, most are not played out for the entire world to watch and judge. From an emotional perspective, all divorces are the same regardless of wealth. We all feel pain and suffering the same irrespective of the size of our bank accounts. However, when it comes to money, this is an entirely different situation. There is a big difference between the rich and the poor when it comes to divorce and money. If the parties remain shareholders in the company then having a very comprehensive Unanimous Shareholders Agreement (USA), setting out who can do what is very important. Some USA’s address what will happen to the shares in the case of divorce. The list of what to consider is long and requires expert advice. Apparently, the stars and technology icons have access to the best and costly information, but the cost of getting proper advice can save a lot of money in the long run for anyone with a small or large business. 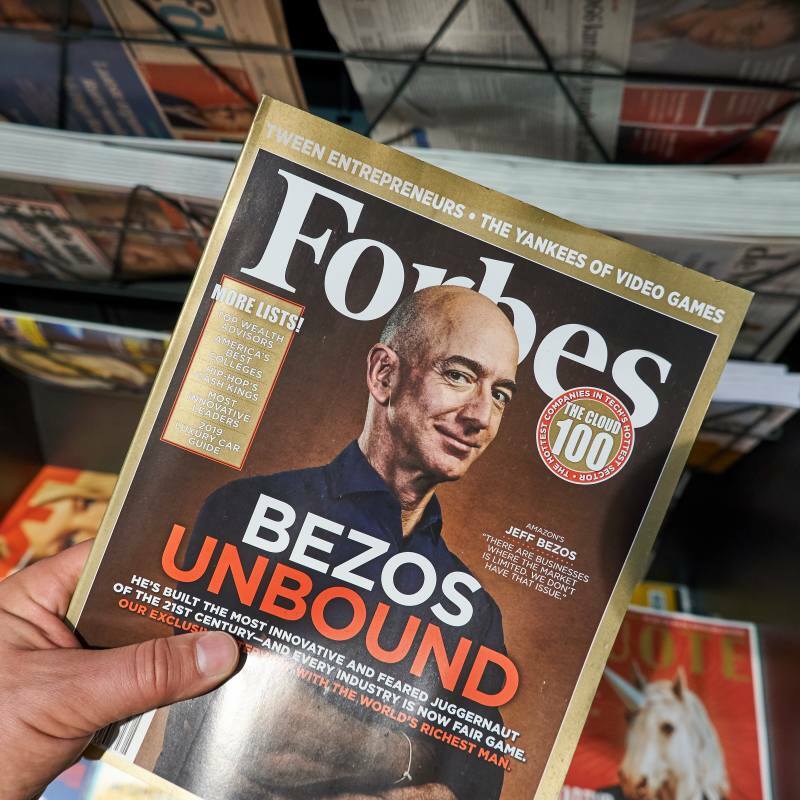 In the case of Jeff Bezos and his wife MacKenzie, it is likely they likely continue to hold the shares together in one form or another. For any parent who is faced with divorce, having children adds an entirely another level of complexity and stress. We all know that keeping the kids’ number one is the most important, but that does not mean that actions are always in line with this priority. After dealing with thousands of divorces, almost all parents state the preference of keeping kids first but unfortunately egos, anger, and fear play havoc with this priority. We witnessed, via the media, how Brad Pitt and Angelina Jolie’s kids were caught smack in the middle of the fight. Both parents are stating publicly that their kids were their number one priority, yet ridiculing of each other to demonstrate being a better parent than the other – can and will backfire. Shared parenting is most often in the best interest of the children so that they have regular access and time with both parents. Having the eyes of the media all over those who are famous, I am sure adds stress but regardless, keeping kids hidden from the wreckage should not only be the parent’s priority but that of the media as well.